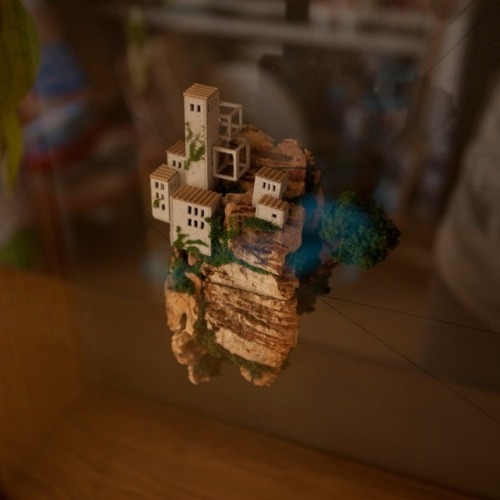 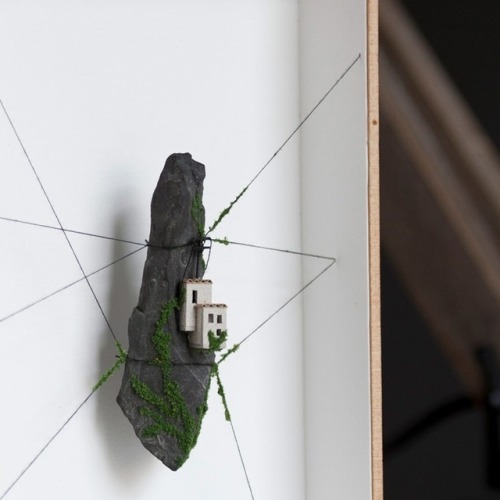 Designer Rosa de Jong produces micro homes that are built into the side of tiny cliffs constructed out of cork. 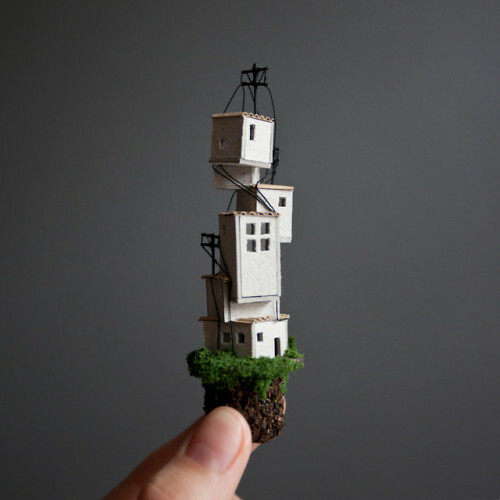 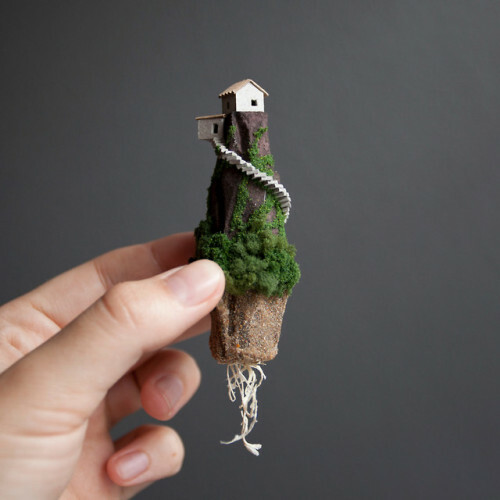 Her miniature environments are covered in fake moss and dotted with modeling trees, which add an enchanting element to the small homes. 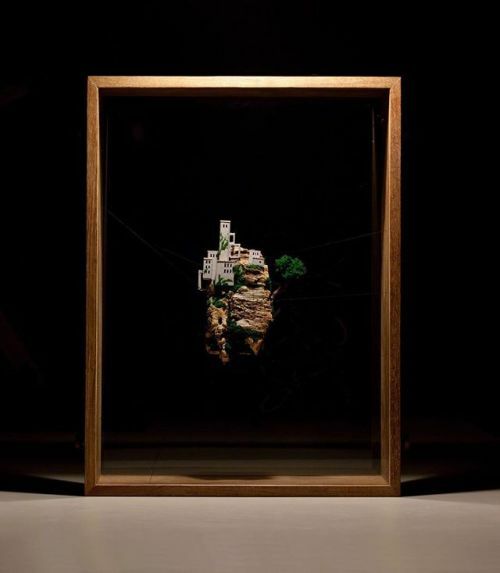 Her most recent pieces hang between two panes of glass and are secured with thin wires. 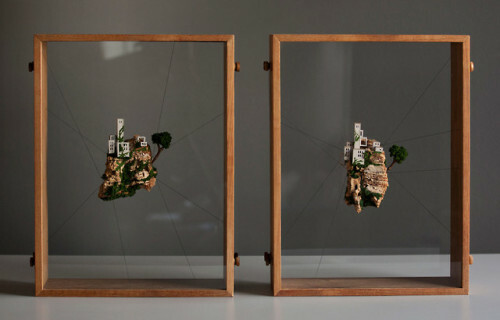 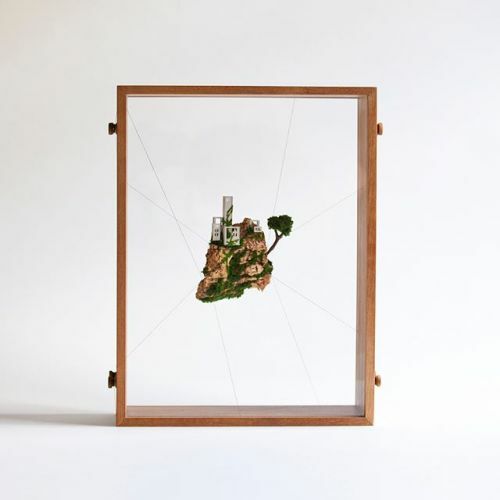 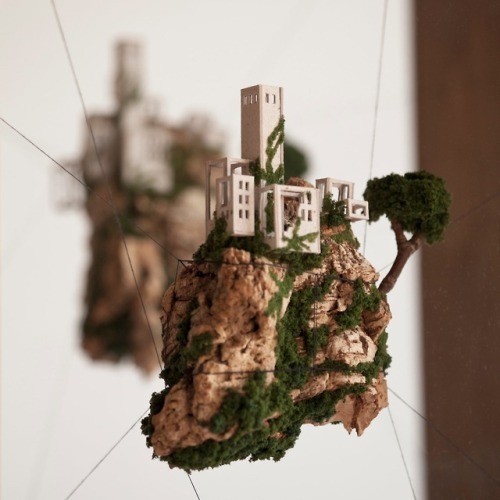 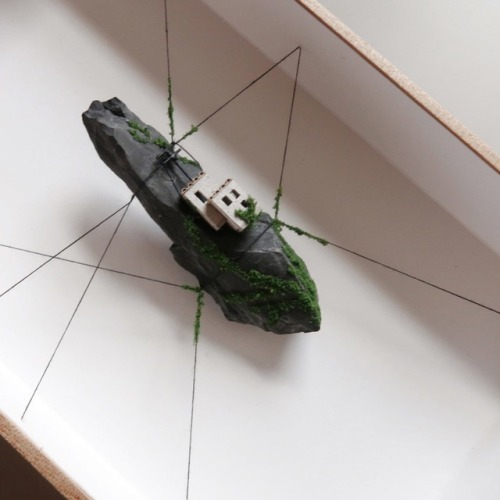 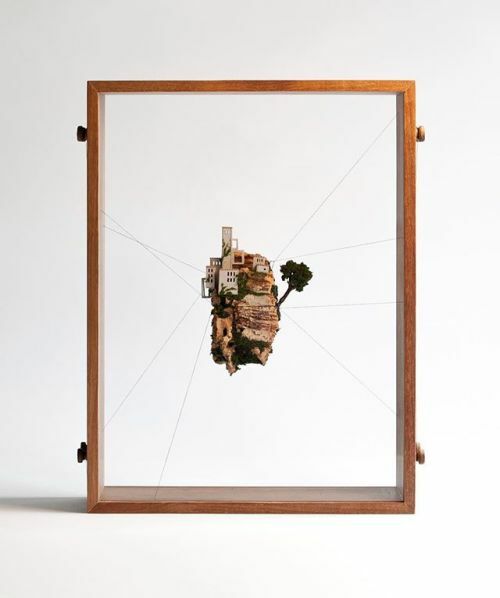 De Jong collaborated with her father to create the wooden frames for the structures, which include tiny wheels that allow the owner to adjust the position of the floating islands.